Hymn of the Fayth - The Sending (Final Fantasy X): Interesting inclusion, I would not have made it the first track though. It leads with only vocals and orchestra joins in towards the second half of the song. Pretty good. Battle & Victory Theme Medley: This starts off with the best song in FF history, Battle on the Big Bridge and then leads onto Fight With Seymour and Those Who Fight, ending with the well known victory theme. They sing some words during the victory jingle in English, I think that's pretty lame and wonder why they didn't stick with the Latin words that had been used in the XIV victory jingle. Kiss Me Good-Bye (Final Fantasy XII): I can't decide which version of this I like better, this new one or the one from the Voices concert. It's a little cleaner than the other, that's for sure. There were a few words in the version from Voices that were kind of garbled. This one will probably grow on me. Also, those feels. Not Alone (Final Fantasy IX): It's really hard to beat the original version of this song as it was at such a powerful moment in the game that when I think of this song I immediately go to that one (or the version by Kate Covington). Distant World's version of (You Are) Not Alone is still very powerful in its own right, even without the guitar and the vocals. This song will always be one of those crowning moments of badass. Balamb Garden - Ami (Final Fantasy VIII): This is one of those staple Final Fantasy songs that has been on a lot of albums. It's very soothing and relaxing, and is actually on the Relax'n with Final Fantasy album that you may or may not know is one of our household favorites. However, it's no better or worse from the version on that album, so it's kind of a repetition that I didn't need. Character Theme Medley (Final Fantasy VI): This one is pretty good. It starts off with Terra's theme, a song that Distant Worlds is very familiar with. They play it wonderfully and it's strong. The song then cues into Kefka's Theme which is always a fun one to listen to. After that the song moves onto Celes' theme which is also a familiar tune from Distant Worlds (as it's the same as the Opera that they usually perform). It finishes with a tune that's familiar but I'm not quite sure if it's actually a specific character's theme or just an overall theme from the game (it certainly wasn't Forever Rachel....). Good song though, since I love medleys. Fabula Nova Crystallis (Final Fantasy XIII): What can I say about this one that's even fair? It's a short and simple tune that is kind of like XIII's Prologue if you want to go that far. It's not even the vocal version that they performed at the Returning Home concert. Waste of a track, in my opinion. Blinded by Light (Final Fantasy XIII): To be honest, I'm kind of tired of this song. It's not bad, but I've heard it on a lot of albums already and they've played it at every single Distant Worlds concert I've attended. I gotta wonder why Nobuo does these songs that aren't his, I'd much prefer a new rendition of an old classic. Otherwise, this track is no better or worse than it is on any other album you may find it. Primal Judgement (Final Fantasy XIV): Poor Ifrit, you didn't get any lyrics in your song. But, you did get the only Primal song composed by Nobuo, so that's a bonus. This version is pretty good, it's slightly different from the live recording from the Returning Home concert. It's a powerful song with lots of high points as it was meant to be the battle theme used for all the Primal fights in FFXIV. Roses of May (Final Fantasy IX): They are really trying to get at my feels with this album. This song is just beautiful and sad. Once again I think of the words from Kate Covington's cover when listening to this, and it's really hard not to. She nailed the emotions of Beatrix perfectly. 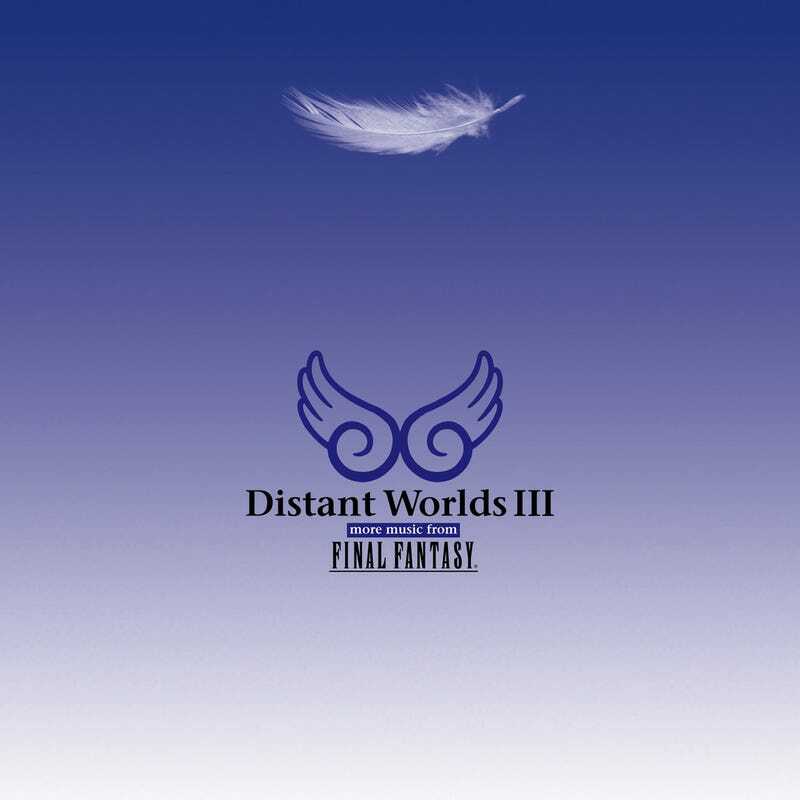 And this version from Distant Worlds is possibly the best I've heard. Really, this is one of the highlights of the album. Chocobo Medley 2012: This begins with Choc-o-by Baby from Final Fantasy XI which I felt was a really nice touch. It's such a simple little lullaby-ish tune that they've turned the chocobo theme into and it's cute. From there it moves on to Mambo de Chocobo from Final Fantasy V which is perhaps one of my favorite versions of the familiar theme, and not just because of the enthusiastic "huwa!". It finishes off with a standard chocobo theme where they periodically spell out Chocobo, in case you don't know how to spell it. It's pretty good. I think this is the version they played at the last concert I attended. Balance is Restored (Final Fantasy VI): This is a little difficult to review, since I don't really remember the original version all that much. It's rather celebratory, so I'm guessing it's from the credits. Even though I don't remember the source material, I think it's still a good addition and I'm always ready to hear a song that doesn't get much appreciation from the classic games. Answers (Final Fantasy XIV): I'm going to need a tissue or two here. This song hits me right in the feels every single time. The opening stanza are sung by people you can actually understand this time and then Susan Calloway begins singing with her bitter sweet voice. At first I thought this version was moving just a little too fast, but they more than make up for it with long holds in just the right places. The words during the chorus are much more understandable in this version than any other. I will always miss the guitar going into the second half of the song but the orchestra does well keeping this song strong and inspirational. Susan Calloway's vocals makes this song. It's hard not to tear up when she hits that last long hold and the chorus roars to life. Such an amazing song to end on.